During my Discussion Panel: Monitoring, Insights & Analytics together with my buddy MVP Kevin Greene at Experts Live Europe in Berlin, we mostly spent time discussing concerns about upgrading to SCOM 2016. A lot attendees were interested what are possible pitfalls, what are the experiences from the field and what is possibly the best upgrade strategy. Some time ago I wrote a post about upgrade strategies and when you should take what path. In addition you will find additional learnings at the end oft the post. In addition to the post I have a list of pitfalls which you might useful and were discussed during that talk. The #1 problem is that SCOM 2016 agent crashes IIS application pools which run under .NET 2.0. This is still an issue and NOT solved with UR3! Here is an official blog post from the SCOM team. Kevin has also written an extensive post about this issue. In the monitoring view pane, there is a new node for scheduling maintenance mode feature. This will shoot an error as soon you start trying to set a scheduled maintenance mode window. Kevin Holman provides detailed steps how to fix this issue. When you deploy a SCOM 2016 agent to a domain controller, you might see it goes into a heartbeat failed state immediately and turning the agent turns “grey”. Kevin Holman provides again a detailed step how to fix this issue. Check out Waleed Mostafa’s Dolphin tool, which can easily be used to configure these settings. The SharePoint 2010 management pack does not work with SCOM 2016. There is a great collection of RECOMMENDED registry settings which you need to apply for your brand new shiny SCOM 2016. This will tweak some registry settings on the management servers to run more smoothly. The DNS MP Windows Server DNS 2003/2008/2008 R2/2012/2012 R2 (10.0.6.0) report an “Internal-Script-Error” which is described here. Make sure you adjust your antivirus exclusion to the new program path. Because the agents are installed under a new folder path, there is a need to adjust the AV exclusions. Here you will find all necessary exclusion path. If you need to check the sizing for SCOM 2016 the SCOM 2012 sizing sheet is still valid. Except for handling Linux agents. SCOM 2016 can monitor twice as much Linux/Unix agents per management server as SCOM 2012 R2. How to generate a list of agents that are multi-homed via the Microsoft Operations Manager console. If you want to migrate notification subscriptions MVP Cameron Fuller has wrote a still valid post. Check the latest UR for your SCOM installation here. Enable proxy as a default setting in SCOM 2016. If you install the SCOM 2016 console and the SCSM 2016 console on the same server you will run into an issue. This is still a problem and I have blogged about a workaround. Depending on the migration scenario make sure you match the supported configurations for SCOM 2012 R2 and SCOM 2016 at all times. The upgrade procedure itself is well documented here. This probably a good checklist if you are planning your SCOM 2016 migration. Please study each bullet carefully and take the necessary actions. 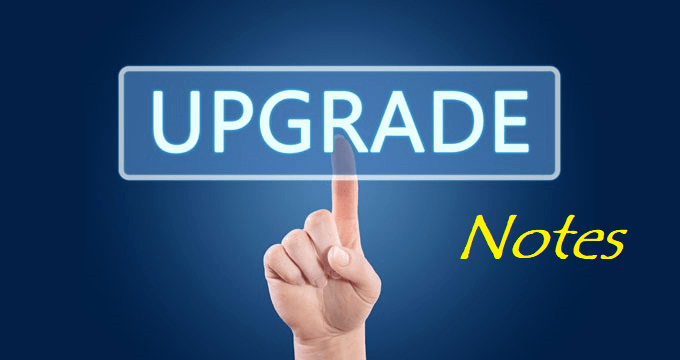 From my experience the upgrade / migration experience is runs without any issues if you plan carefully and make sure your management group is in good / healthy shape. If you have additional bullets / issues I should refer to, please drop a comment. Thanks! Thank you! I added it to the list.